“We had to adapt to the opposition. They’re playing too. And they have a new coach, so we had to get to know them better. But we played a great game in the second half”. "I have no preference as far as sides of the pitch are concerned, I’ll play anywhere". "Sevilla put deep pressure on us early on and we found it hard to get the ball out from the back. 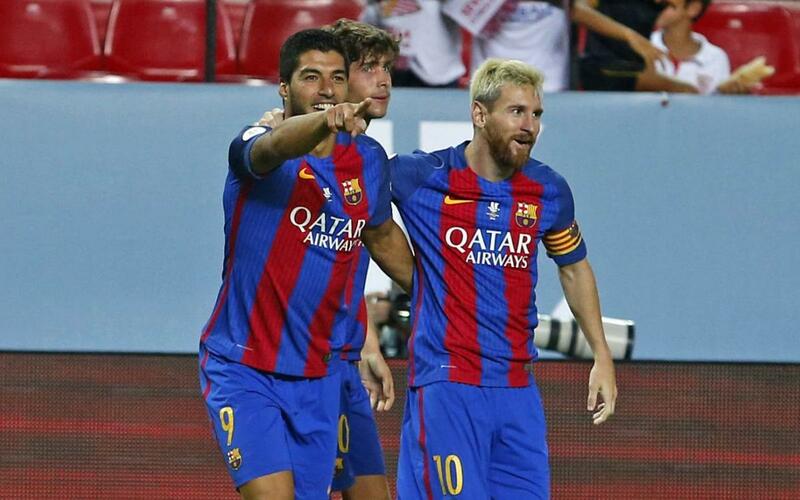 But they didn’t really have any clear-cut chances and we had the one for Luís Suárez. We played better in the second half. We had more space and the goals started coming. It was a great result to take into the second leg”. “Sevilla always make games difficult for us. We’ll try to get as much rest as we can and then start preparing for the next match”. “We knew it would be a difficult game. We found it hard to control the ball the way we like but it worked better for us in the second half”. “It was very hot and we had to hydrate our bodies a lot to make it through to the end”. “The players that started the second half did a really good job and helped a lot. I’m especially happy for Munir”. "The most important thing is that they had no real chances in the first half and we did. We worked hard and should feel happy about what we achieved”. "We have to go into the second leg without thinking about the result here”.